Balance. Balance. Balance. I am almost certain you’ve heard it from me and everyone else in the world. I do my best to abide by this thought. I have enjoyed a weekend of leftover sandwiches from Thanksgiving that included everything from the turkey to the stuffing. Flavored bread in sandwich, why yes, please and thank you. More carbs from the yams and potatoes on that same sandwich, why not? Will I be having one more, yes I will. With that I will also indulged in yogurt with a banana for breakfast today, a salad for lunch, and tofu for dinner. Must balance. I will do one more push up, drink some green stuff this week, and have one more leftover sandwich. I am a master of food balance. This for that please. Black beans sauce tofu it is! I realize I love food so much, of all kinds, that it works out perfectly for me, so this week we tofu. We tofu for several reasons. 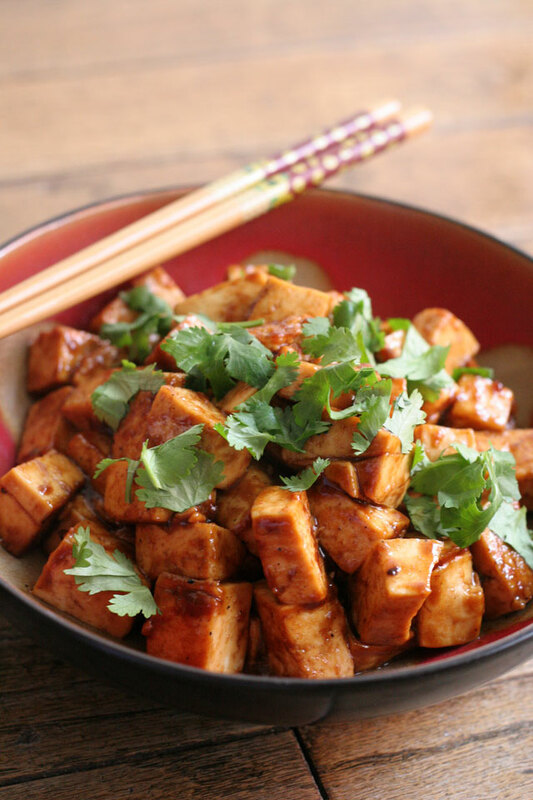 Black bean sauce tofu is delicious, so ridiculously easy, and above all, healthy. 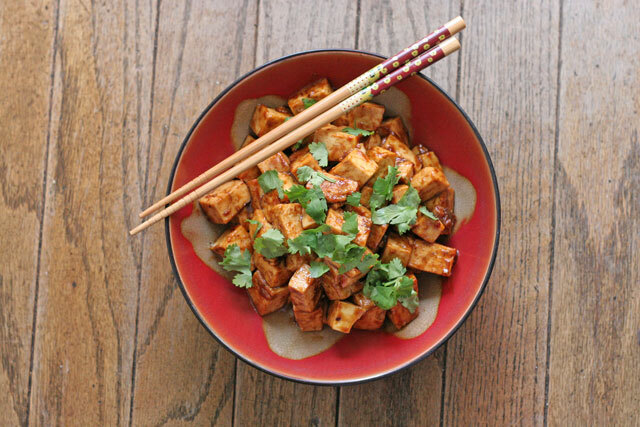 Tofu is versatile, takes on flavors from anything you add to it, and is packed full of protein. I serve mine over rice typically and make sure there is a lot of sauce to liven up the dish. The tofu takes 15 minutes, so cook the rice well before the tofu. Brown rice takes about 45 minutes, here is my recipe. 1. Drain the tofu really well. I place mine in a colander for an hour or so over a bowl to drain. Cut tofu into medium dice. 2. Over medium high heat place a large pan or cast iron pan, add oil, then tofu, and cook for 2-3 minutes. Season the tofu with a pinch of salt and pepper about 1/8 teaspoon each. Add the black bean sauce and cook for 5-6 minutes. 3. Serve over rice, garnish with cilantro or green onions.